2018 sees the arrival of a whole slew of new features to iTWOcx. This includes a number of great additions to our Document Management module - the Publication Space - along with some key updates to the Tenders Module. Our workflow tools have been helping teams just like yours to manage their document reviews on all types of construction projects. 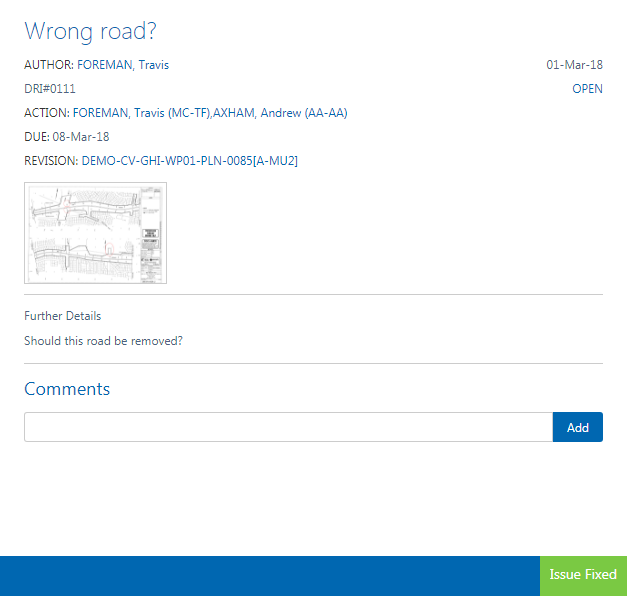 iTWOcx workflows are easy to set up and use and provide you with the ability to review and track the readiness of drawings for Construction use. Built directly into Workflows - Design review issue tracking lets you mark up and log a potential problem with your drawing directly from our mark up tools. Markups are linked to your Design Review Issue, with the ability to add additional notes if required. These are then automatically sent straight through to the originator of the drawings. Reviewers are able to view any existing Design Issues directly in the Workflow between each step. Outstanding design issues are tracked between each of the revisions of a drawing. Issues are accessible to all parties involved in the review process. Adding comments, resolving issues and closing them out are easy as clicking on a button. 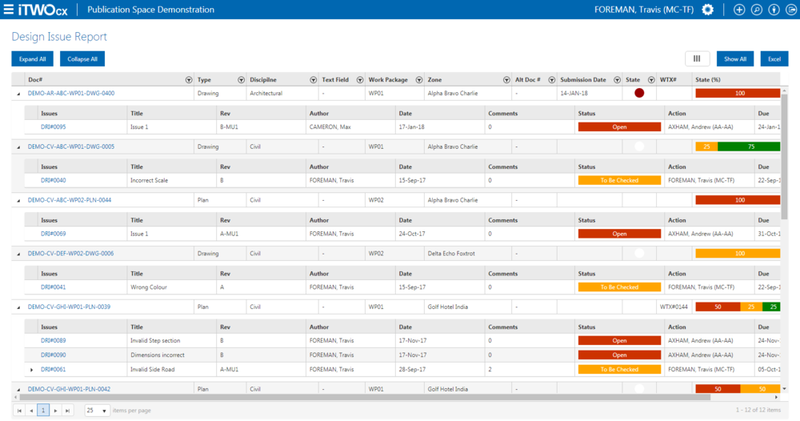 Advanced reporting tools let you view any document with outstanding Design review issues. The report also shows you detailed metrics for each document within your project- including the number of comments and the issues currently open and what status they are in. On a busy project, reviews can be required at any time by different parties on the same set of documents. Now, with the ability to set up Parallel workflows you can create workflows where two steps can be carried out at the same time. You can also configure and decide when to move to the next step. You can now configure user fields against your Transmittals so that they can be filled out during distribution. Additional attachments to Transmittals are also supported during distribution. Depending on your project's tendering needs you may need to have your Sub contractors enter into a Confidentiality Agreement prior to issuing them the package documents. In this release we've added a feature whereby you can set up such an Agreement that can be issued out to the relevant parties. The Sub Contractors will be then be able to download and re-upload a signed copy of the Agreement on their bidder page. As the Tender Admin you will be able to see the status for each Sub Contractor who has signed the Agreement and issue out the Package when all bidders have signed the Agreement.